Q. When i will receive my products after purchase? Right after purchase, We will deliver the product info to your Paypal/registered Email(check spam) within 1–24 hours. If you bought as guest, we will send product info to your Email that you typed billing information, but you can't track order detail on our website. If you haven't receive within 24 hours, please confirm your Email address again or contact us on support@obtgame.com or by skype at obtgame Service time: 10:00am to 10:00pm (GMT+8). 100% security, we promise not to reveal customer's game account information to anyone. We use SSL/HTTPS certificates, customers can visit the website in confidence. Q. What payment options do you support? 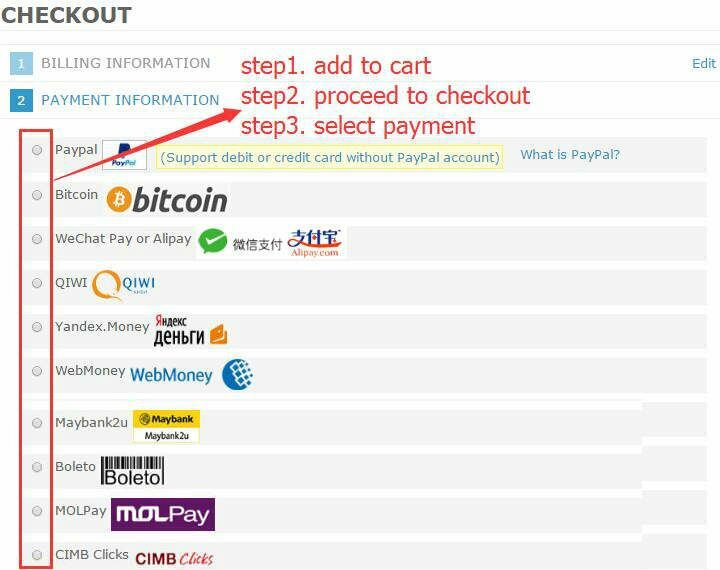 We can accept payment via PayPal(also support debit or credit card without PayPal account) , WeChat Pay, Alipay, Bitcoin, Western Union, QIWI, WebMoney, Yandex, Maybank2u, MOLPay, Boleto, Banco do Brasil, Indonesia ATM, CIMB Clicks, RHB Now and other kinds of payments. Yes, you can checkout as a guest, but placing order as registered user will get Credit Points. Q. How to use coupon code? Get a coupon code and use(order amount should greater than $8). For support you can email us on support@obtgame.com or by skype at obtgame Service time: 10:00am to 10:00pm (GMT+8), once we received your details we will get back to you soon. Our customer service is online from 10:00am to 10:00pm (GMT+8). You can register with a email address, also you can sign in with social account facebook twitter google linkedin Paypal, after first sign in with social account a email with account info will send to your email. Really easy to use, very fast delivery. No complaints! !